If you are looking for affordable family accommodation or wish to have a holiday at a small, boutique camp site whilst not being too far from the beaches or town facilities, then the Welcome Bay Hot Pools and Campground are a perfect choice. 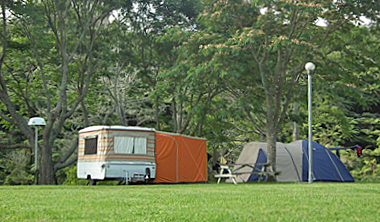 The Welcome Bay Hot Pools and Campground offers 24 powered camp sites, as well as comfortable standard cabins that sleep 2-6 people. Full bed linen is included with cabin hire. Please bring your own towels. The accommodation features a kitchenette with a small fridge. Basic cooking and eating utensils are supplied. 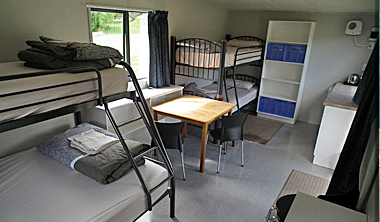 You will need to use the camp kitchen and bathroom facilities. While staying with us, you can enjoy the well-equipped communal kitchen indoors or outdoors.You are welcome to make use of the cool shaded outdoor dining area. There is a TV/games room and an indoor communal dining area on the premises. A coin operated washing machine and gas dryer are also available. You will certainly appreciate the modern showers with great water pressure, and you can be assured to find the amenities always clean and tidy. Campers can use the thermal mineral pools on site at no extra charge. We have no permanent residents, but we do have a lot of return visitors who enjoy our beautiful surroundings year after year. 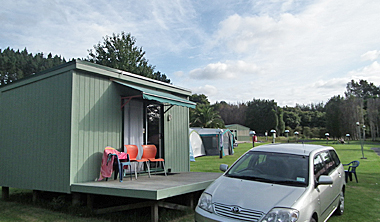 This is the ideal place to stay for families, the budget traveller, and anyone who enjoys some time out in a peaceful and tranquil, green rural setting. Visit us, and come and see what it is all about. Cabins and campground are fully booked March 4th to October 24th 2019.
if cancellation is received in writing. Within 7 days of arrival, no refund will be made. 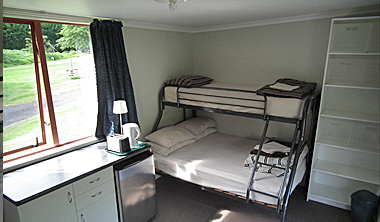 Cabin (sleeps 6) – 2 double beds with single bunk above. All bedding, basic cooking and eating utensils, small fridge, toaster and jug provided. These prices are subject to seasonal change and are not available year round.